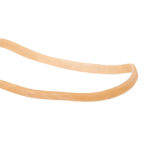 CWC natural compound rubber bands are made of composite materials. Recommended for fast application and repeat use. 1 lb bag put-up. Colored and specialty bands also available!